WHENEVER one thinks of the Spanish football derbies, the El Clasico quickly springs to mind.But the famous grudge clash between Real Madrid and Barcelona is not the be all and end all of Spanish football. The LaLiga Santander is home to some of the most celebrated long-running on-pitch battles in the world. Five LaLiga derbies are taking place between this month and April, including the Madrid derby taking place at Wanda Metropolitano Stadium on Saturday (Live on SS7, 5.15pm). Dating back decades and played between rival teams in the same cities and regions, LaLiga derbies have a significance that extends far beyond the football game itself. The Madrid derby for one used to be a bigger fixture than the El Clasico. Madrid still boasts two of the best teams in Spanish and European football history, and this derby hinges on a hard-fought rivalry that reportedly dates back to 1903. In the modern era, the Madrid Derby is the second biggest derby in Spanish football, behind El Clasico, and although Real Madrid have the larger worldwide fanbase, Atlético Madrid have also amassed a significant worldwide fanbase, largely due to their level of success in the Uefa Champions League. Since 2013, Atletico has stepped up its game with the arrival of manager Diego Simeone and has won eight of the 24 derbies played since then, drawing 10 and losing six. 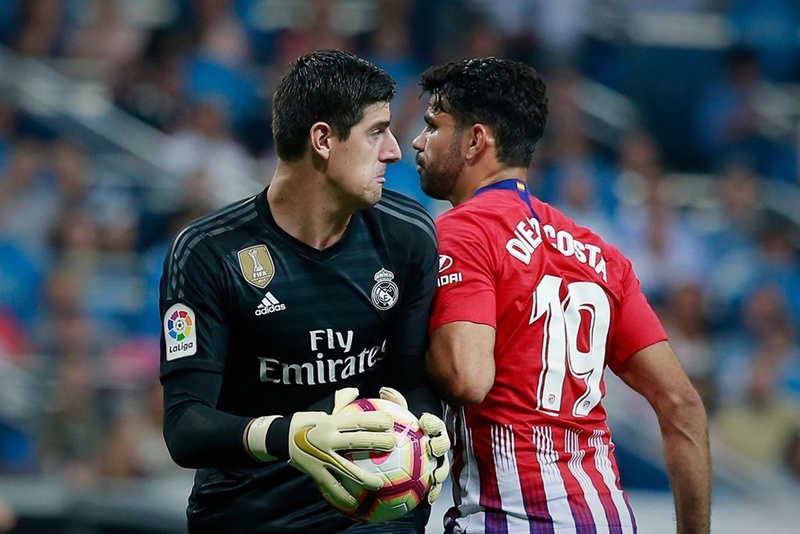 Like other derbies, the Madrid derby encourage a healthy, good-natured sense of competition, festival atmosphere and a sense of belonging that unites players and fans alike. But what would the Spanish derbies be without the Spanish cuisine?Fans are let to explore every aspect of the high-emotion derby experience, which is as deeply entrenched in Spanish culture as its signature regional foods. These local “football” dishes like rice-and-fish paella, a meal integral to Valencian family life; and traditional pan tumaca, a simple and healthy combination of bread and seasoned tomato associated with the Catalan region. In Spain they say there are fierce football rivalries…and then there are derbies.It’s not football, it’s LaLiga!